Our scenic New England grounds, spacious banquet rooms, and on-site parking will make your wedding, banquet event, or golf tournament everything you have ever dreamt of and more. I don't even know how to begin to explain how amazing Tekoa was for our wedding. Tori made sure everything was stress free. She was so quick to respond to any email I sent to her and answered all my questions I had. They set everything beautifully and beyond my expectations. The staff during the wedding were amazing and so attentive to our needs. I highly recommend this venue to anyone looking. The location is easy and the scenery around perfect for your pictures. I'm just sad my day is over, but so happy I have these amazing memories. With a spacious bar area, grand double doors to welcome you into the festivities, and a dance floor fit for the wildest of parties, the Berkshire room is the perfect place to have your event! The room features a deck (smoking permitted) where your guests are welcome to enjoy the beautiful New England setting and our Donald Ross inspired 18-hole golf course. Seats up to 300 guests (Buffet/Stations) or 350 guests (Plated Meal) and there is free WiFi available! With a beautiful deck available to your guests (smoking permitted), a cozy bar area, and an incredible view of our New England golf course. The Westfield room is perfect for your occasion to remember! guests (Plated Meal) and there is free wifi available! We accommodate both indoor and outdoor ceremonies. With the gorgeous stone pathway and simple, yet breathtaking, white arch, our ceremony site is the perfect place for you and your significant other to tie the knot! Our experienced and detail-oriented gardeners ensure that the ceremony site, as well as the surrounding areas, are beautiful and well-kept at all times. They accommodate the various seasons by featuring the different styles of flowers in a large assortment so that they appeal to all styles of weddings. Specifically, during the fall season, they are known to feature mums, hay bales, and pumpkins around the ceremony site. 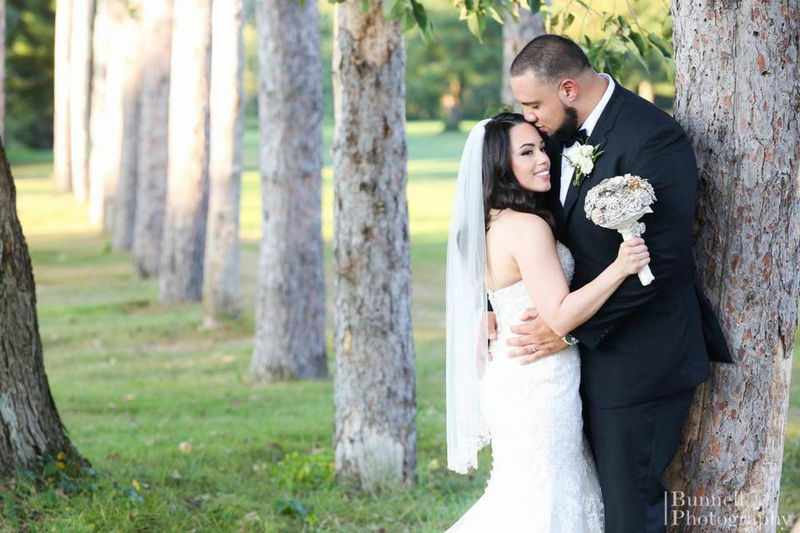 When having your ceremony here at Tekoa Country Club, you will be provided with an extra half hour added to your event, a rehearsal hosted by our Wedding Planner/Event Coordinator, and all of the help you need to decorate and design your dream wedding ceremony.